In preparation for the launch of it’s electric vehicles, French manufacturer Peugeot is appointing 22 of its existing dealers, as “specialist” dealers to sell and service its new electric car the iOn. The dealers who will each have a charging point, an iOn demonstrator car and specially trained staff will be located to correspond with the government’s ‘Plugged-in Places’ designated areas which receive Government support to install charging infrastructure to support electric vehicles. The chosen dealers will be in the Midlands, the East of England, the North East, Scotland, London, Milton Keynes, Manchester, Leeds, Northern Ireland and South Wales. 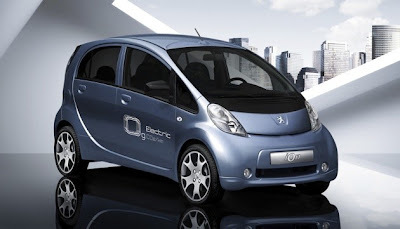 Peugeot say that orders placed in January for iOn should be fulfilled by February. The firm has even launched a leasing offer for the new iOn. A four year, 40,000 mile personal lease scheme is £415 per month plus VAT with zero deposit. Is that a re-badged iMiev?